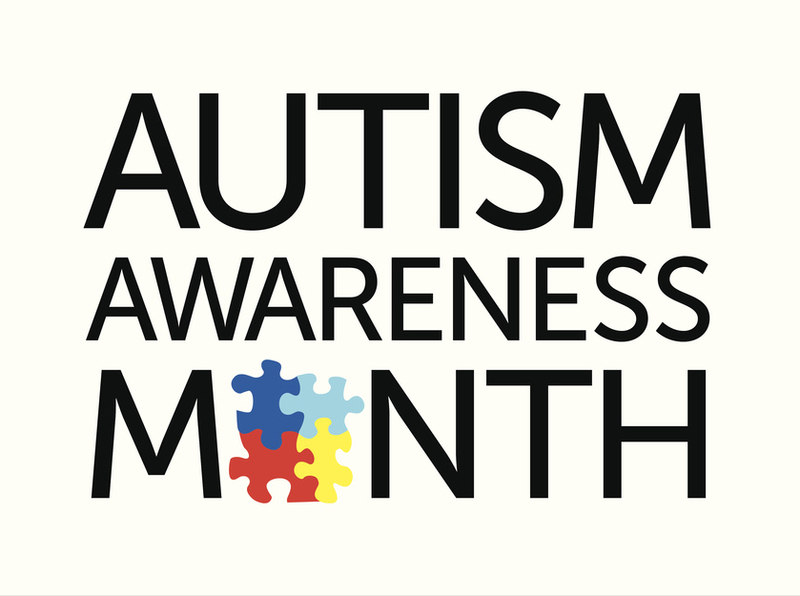 The words “Autism Awareness Month” with jigsaw puzzle pieces. Autism Awareness colors and symbols, conveniently provided on a light and dark background. Vector EPS 10.